Yaya Toure is a free agent following his exit from Manchester City post the 2017-18 season, after having spent 8 seasons at the club. The Ivory Coast international, who played a mammoth 316 games for City, did not enjoy much game time under manager Pep Guardiola since the Spaniard took over the reins in 2016. Toure featured in just 48 games across all competitions in two seasons. However, the 35-year-old feels he has still a lot to offer in the Premier League, and his agent has now come out making claims that he is ready to play for any of the top clubs for just £1 a week. As per Mirror, Yaya’s agent, Dimitri Seluk, officially declared the news, at a time when big sums are being paid in the market. Seluk then went on to add that Yaya will not harm any of the big Premier League clubs, especially when nobody has to pay for it. “I believe that a player like Yaya would not harm Arsenal, Chelsea, Manchester United, Tottenham, and Liverpool. Yaya – the winner,” Seluk stated. 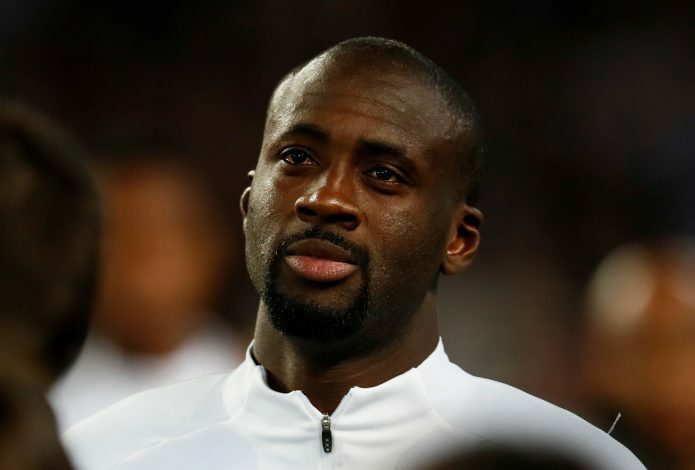 Yaya had recently lodged a verbal attack against Pep Guardiola, saying that the former Barcelona manager treats African players differently in an interview with France Football. Adding to that, his agent has now claimed that despite getting mega offers from other leagues, the player’s upcoming season will be dedicated to Pep, and therefore, Toure is determined to play for a top English club and prove he had much more to give. The Manchester City legend won seven trophies during his time at the club, including three Premier League titles.